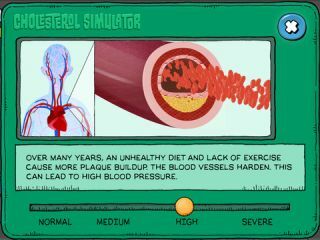 Pros: Real-world health simulations and fun arcade games teach kids about the importance of heart-healthy living. Cons: Kids have to do a lot of reading, which could present a challenge for some less-strong readers. Bottom Line: Fun, engaging adventure teaches kids about the cardiovascular system, medical diagnostics, and the importance of a healthy lifestyle.